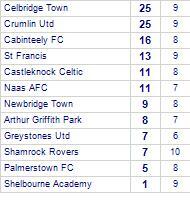 Greystones Utd despatched by Enniskerry FC. Shamrock Rovers share spoils with Greystones Utd. 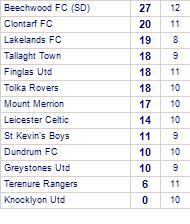 Lakelands FC share honours with Greystones Utd. 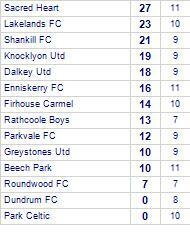 Lakelands FC have yet to be beaten at home. Greystones Utd beat Granada FC. 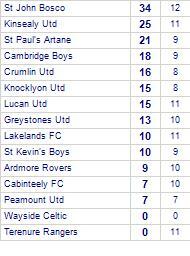 St Paul's Artane take all points from Greystones Utd. 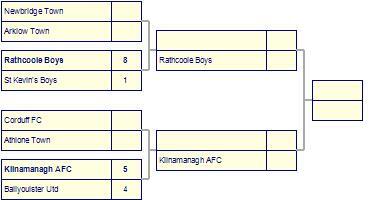 St Paul's Artane has yet to be beaten in this competition, having won every game. 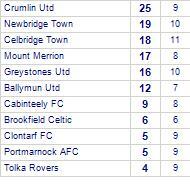 Greystones Utd have yet to win away from home. 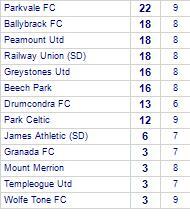 Greystones Utd take spoils against Rathcoole Boys. 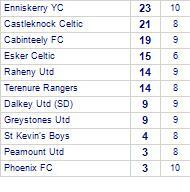 Enniskerry YC draw with Greystones Utd. Enniskerry YC have yet to be beaten at home. Shelbourne Academy take spoils against Greystones Utd. Railway Union (SD) despatch Greystones Utd. Shamrock Rovers despatched by Greystones Utd. 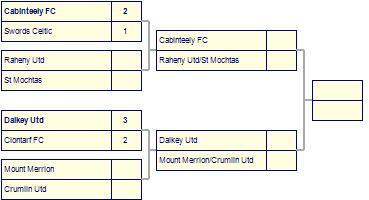 Greystones Utd are defeated by Raheny Utd. 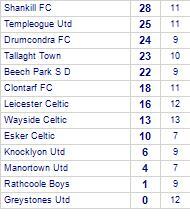 Greystones Utd beaten by Rathcoole Boys. 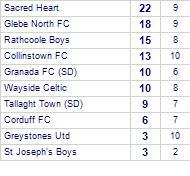 Greystones Utd share points with St John Bosco. St John Bosco has yet to be beaten in this competition, having won 5 out of its last 6 games. 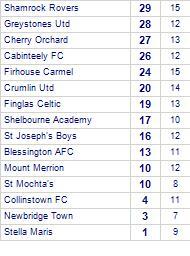 Greystones Utd beaten by Clontarf FC.